If remodeling your bathroom in 2018 is on the home project list, we have some ideas for you! The latest trends in lighting are beautiful, customizable and can bring a whole new level of interest to your new bathroom. Let’s look at some of the latest bathroom lighting trends. The types of lights available are infinite. First, you must think about how much lighting you will need for your bathroom: Will you need good lighting to apply makeup or are you just looking for lighting that will add to the overall ambiance of your bathroom? Next, you’ll want to consider the style of your bathroom. Are you going for modern or traditional? Opulent or rustic? 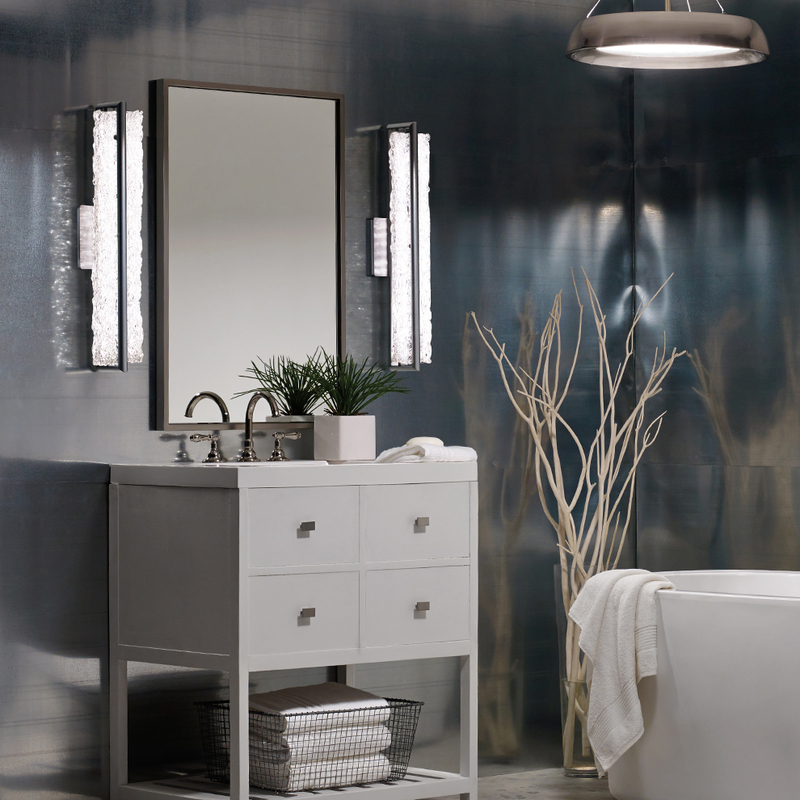 Taking a look at the desired feel of a bathroom can help guide you in your lighting. A recent trend we’re seeing in bathroom lighting is the addition of glamorous elements, such a opulent chandeliers. The combination of a freestanding tub with stylish chandeliers make way for a spa-like experience. When choosing a bathroom chandelier, pay attention to both the size of the fixture as well as the size of your bathroom. A large chandelier in a small bathroom would look too crowded. Usually, small bathroom chandeliers or chandelettes are the best option, as they add a luxurious component without going overboard. 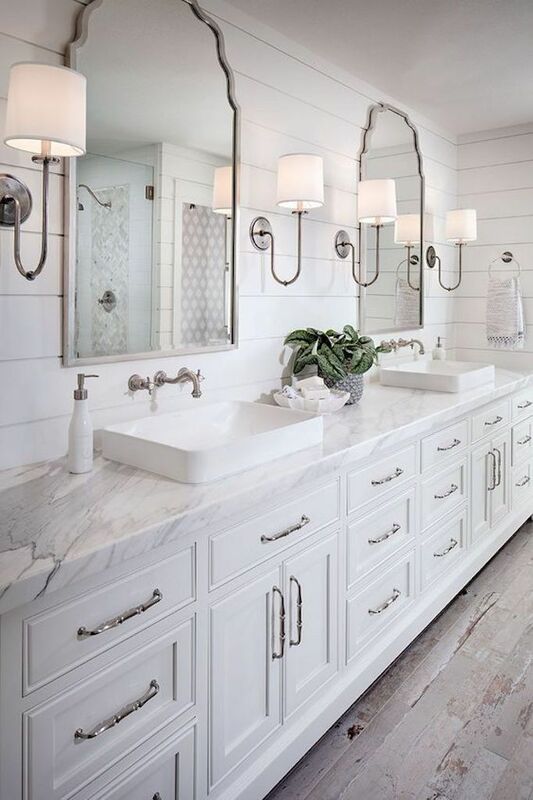 No reason to be shy when it comes to choosing sconces for your new bathroom! 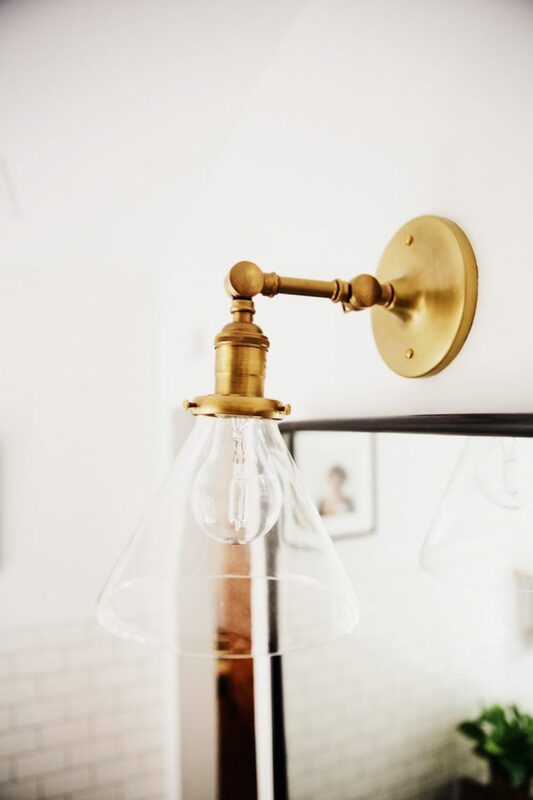 Elegant fixtures can really make your space pop. Your electrician will know the best placement, but the rule of thumb is 66” above the finished floor to the middle of the fixture. 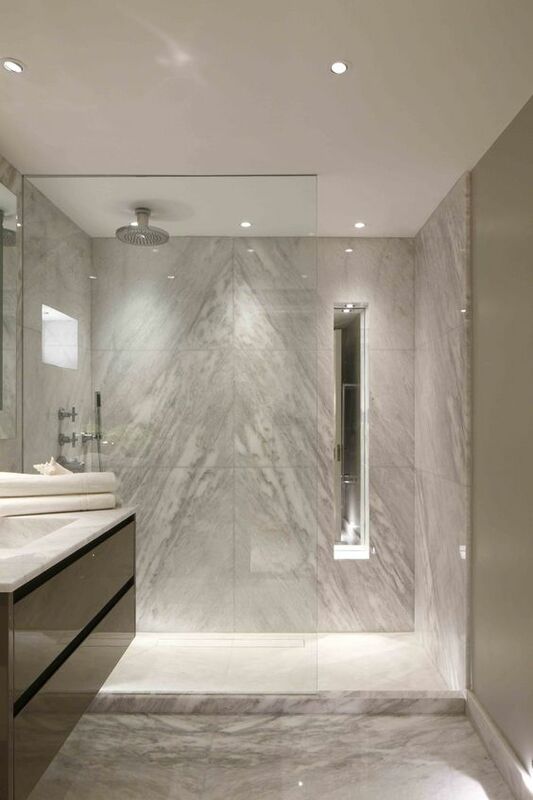 Adding lights to your shower may not be a new trends, but it’s certainly worth a mention. When choosing lights that are specifically fitted inside the shower, use the new LED IP rated bathroom fitting for high impact, yet low energy effect. One key bathroom design trend for 2018 is a big focus lighting schemes which results in thoughtful layered lighting. Creative lighting techniques, fixtures, and dimmers to create a luxury and relaxing feeling. Whether we like it or not, a key design trend from the 80’s has made its way back – brass accents. Brass hardware can add a comforting, warm tone to your bathroom and really complement the right cabinetry, paint colors, and other design elements. No matter how you choose to style your new bathroom, rest assured your local electricians offer high quality work and service and can help guide you every step of the way. Having your bathroom remodel electrical work done correctly is incredibly important for both code standards and safety of those using the bathroom. Call Front Range Electric today and we will help your Colorado Springs bathroom be all that you wanted and more!